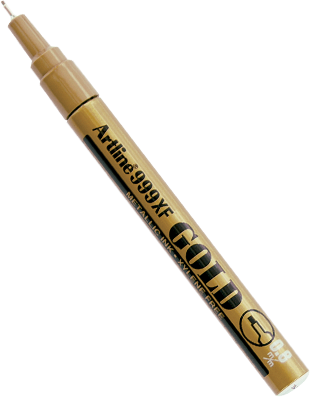 999XF – fast drying, opaque, fade proof permanent markers with fast drying pigment ink that won’t fade. These markers are ideal for all types of permanent marking where indelible marking is required. Suitable for any surface indoors or out, including black material. The metallic ink markers have pigments in the ink that are reflective and give a slightly embossed finish when dry. Acid free, water based pigment ink is water resistant and fade proof. 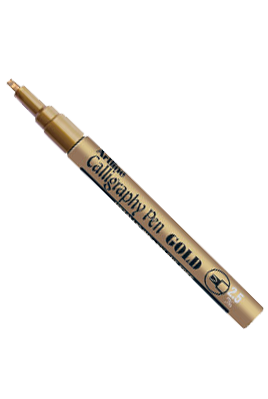 Gold and silver calligraphy pens are suitable to use on non-porous surfaces such as plastic. Xylene free. 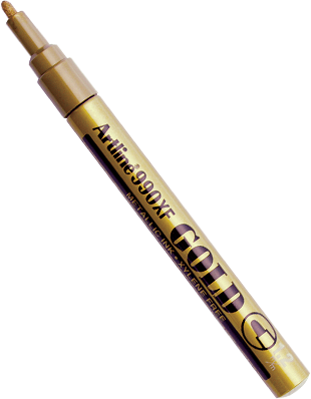 990XF – fast drying, opaque, fade proof permanent markers with fast drying pigment ink that won’t fade. These markers are ideal for all types of permanent marking where indelible marking is required. Suitable for any surface indoors or out, including black material. The metallic ink markers have pigments in the ink that are reflective and give a slightly embossed finish when dry. 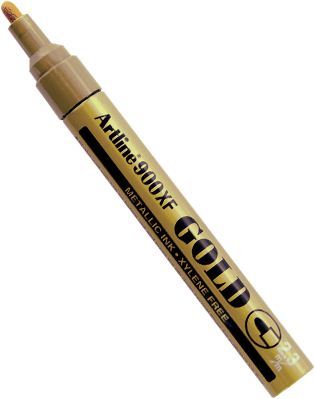 900XF – fast drying, opaque, fade proof permanent markers with fast drying pigment ink that won’t fade. These markers are ideal for all types of permanent marking where indelible marking is required. Suitable for any surface indoors or out, including black material. The metallic ink markers have pigments in the ink that are reflective and give a slightly embossed finish when dry.